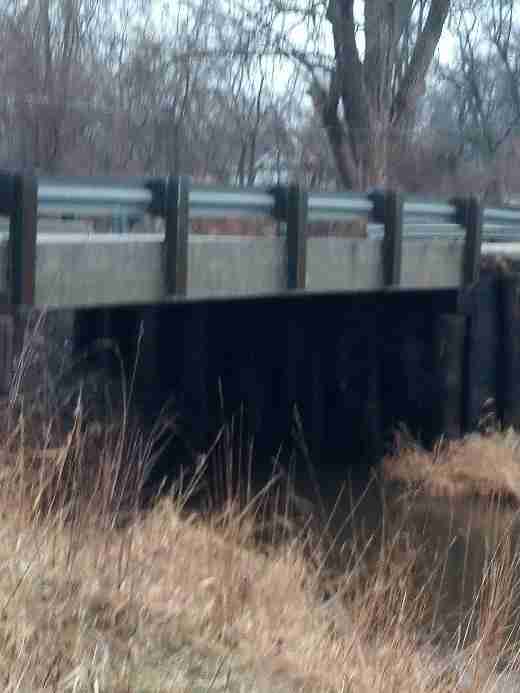 The cries continued from the darkness beneath the bridge. Determined to help, Hoelter crawled on his hands and knees down the culvert, completely uncertain of what he was going to find. All he knew is that someone needed him. And there, looking up at Hoelter, was a tiny, shivering, scared puppy. 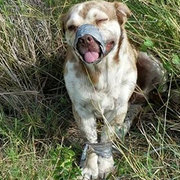 But Hoelter couldn’t believe what he noticed next: The pup’s muzzle was taped shut, wrapped with electrical tape. “I'm like, ‘Oh, sh*t,” Hoelter said. Hoelter knew he had to act quickly. Griffith Animal Hospital wasn’t far down the road, and he hoped they were still open. The vet staff went to work on the pup immediately. He was emaciated and his skin was severely damaged under the tape. 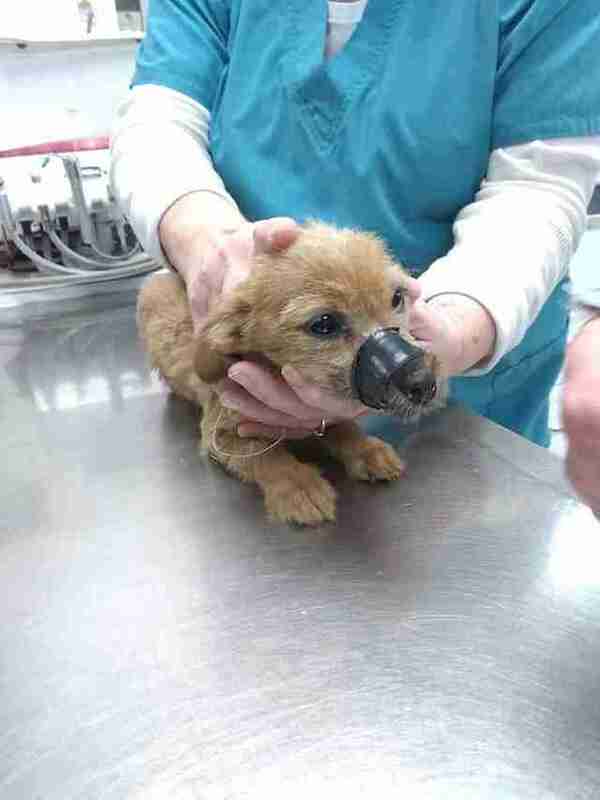 They estimate the tape must have been around his muzzle for days. 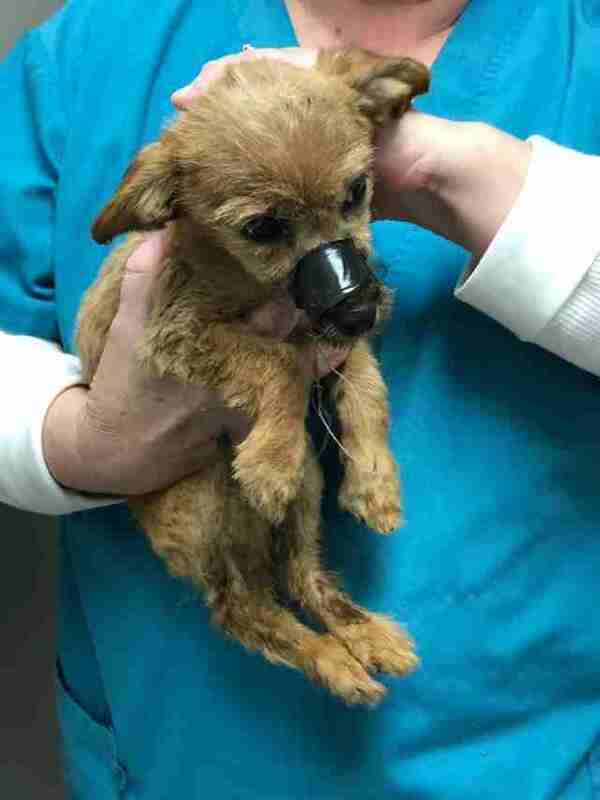 The medical team removed the tape and gave the roughly 4-month-old puppy antibiotic injections and ointment. Then they set up a bed for him with blankets and stuffed animals. 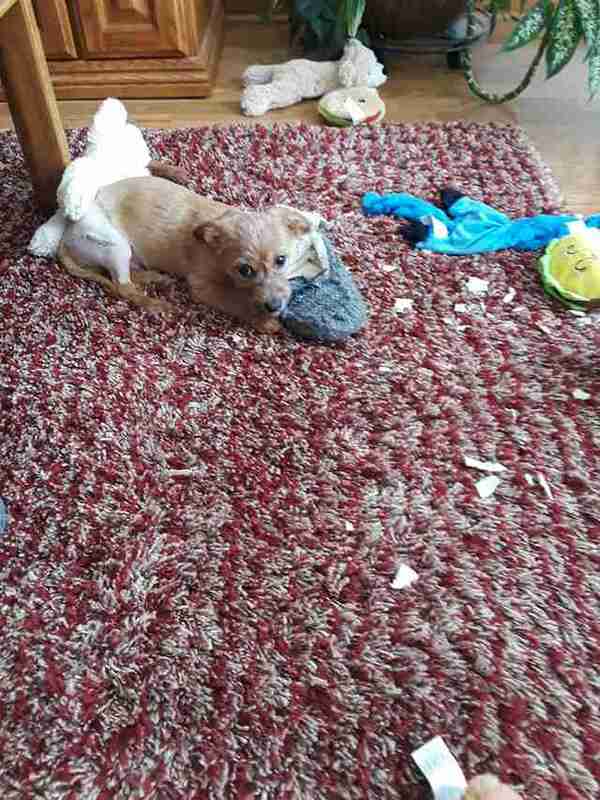 The staff later discovered the pup also had a broken leg, which would require surgery. They believe someone threw him off the bridge and missed the water, and the puppy landed on the ground. 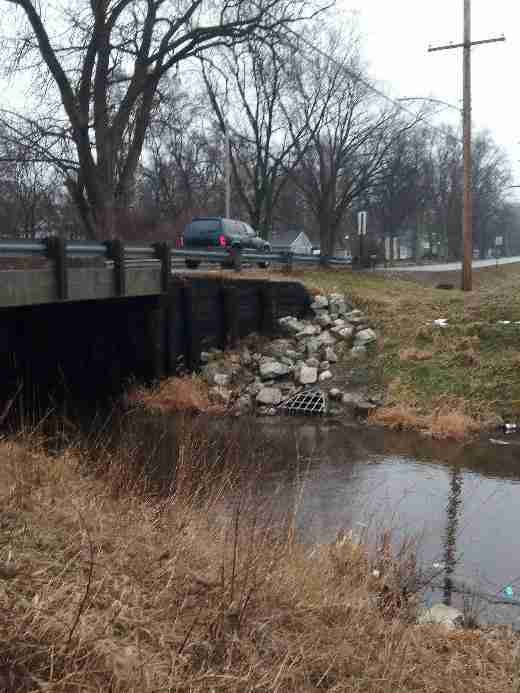 Her post caught the attention of many local residents, including Mary Witting. 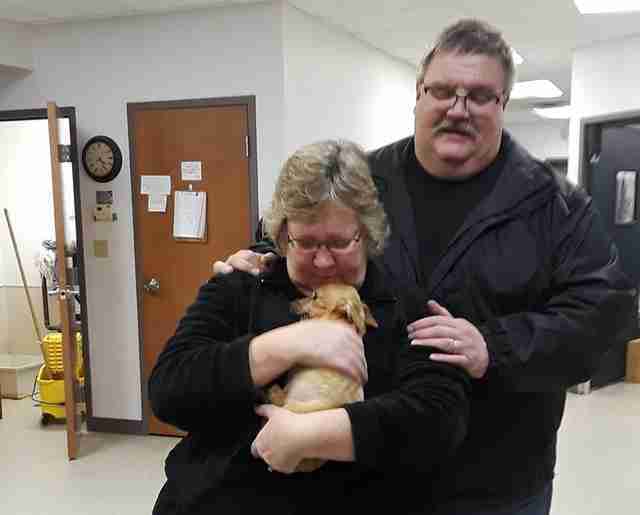 She and her husband, Doug, are longtime clients of the vet clinic. 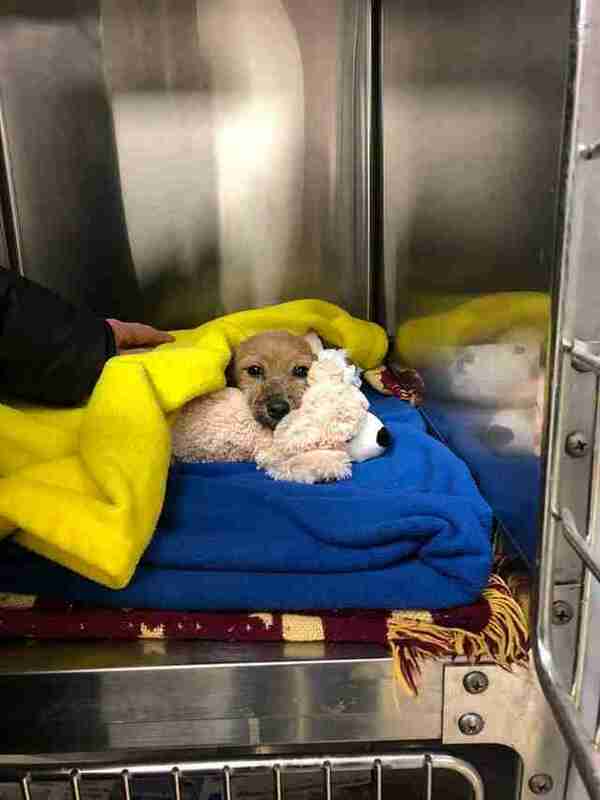 The couple recently lost their beloved dog and had sworn they weren’t going to get another anytime soon — until they read about the pup’s sad story. The Wittings went to meet him, instantly fell in love and decided to adopt him. They named him Louie. While Kovacich and the Wittings were thrilled about Louie’s future, the man who had saved Louie remained a mystery. Kovacich kicked herself for not getting his number. Then another incredible twist of fate happened: Hoelter’s niece caught the Facebook post about Louie and helped reunite everyone with her uncle. And on the emotional reunion day, the most excited attendee turned out to be Louie, who recognized his hero. Louie gave Hoelter lots of love and kisses. 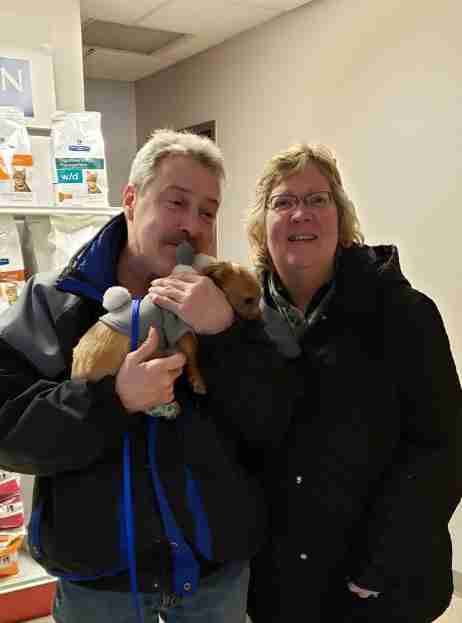 Hoelter said he is thrilled Louie has a fantastic new home. 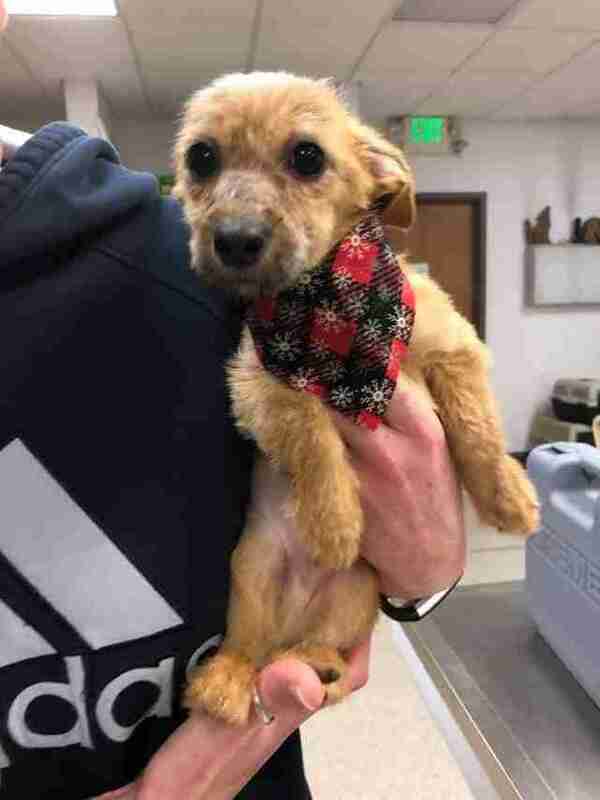 But what still haunts Hoelter is what could have happened if he had driven to the store the night he found the pup, instead of walked — he never would have heard Louie’s cries for help. He is thankful that the animal hospital was still open when he arrived, and everyone inside was willing to help. The stars just seemed to align. “It makes me think God has a purpose for everyone, to be honest with you. We all have our calling,” Hoelter said. "I'm going to have to walk more often, but I sure don't want to find more dogs under the bridge."